Creating perfume is not easy, it is always a 'nose' that creates the most wonderfull fragrances. But what if you have some inspiration to make a perfume in your free time? 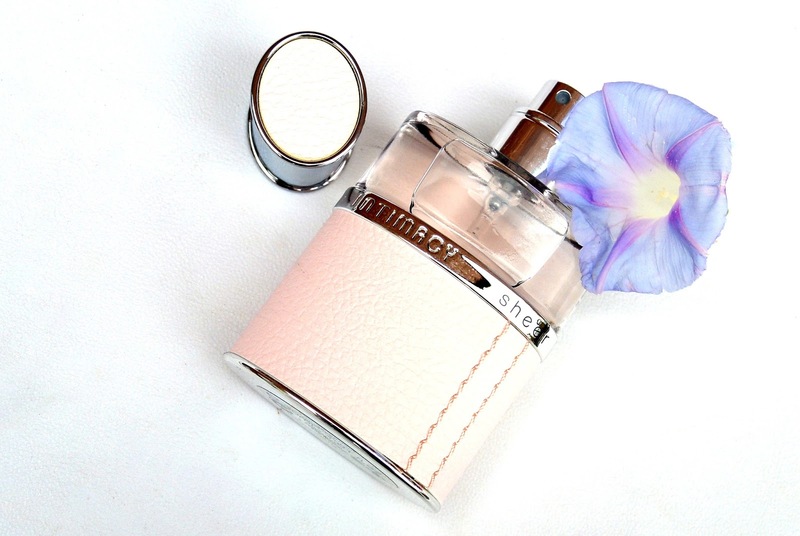 Some 'noses' collaborated and made this unique eau de perfume: Intimacy Sheer. This perfume is not by a particular brand because the noses made it in their free time and not commissioned by a particular brand. With Intimacy Sheer the noses wanted to create a fascinating fragrance. This perfume is called 'Intimacy' because it stresses the intimate relationship between women and their perfumes. Intimacy Sheer is a real 'skin perfume'. This means that the perfume is best when it's applied directly onto the skin. The notes used in this perfume are stunning. As top notes the noses selected bergamot, tangerine, lemon, cardemon and pink pepper. When you spray the fragrance on your skin, you experience a warm and sensual scent with a touch of lemon. Afterwards the heart notes come trought, the noses used Kazanlac Rose, jasmine, quince and a surprising touch of cognac. The touch of cognac is really amazing! I was surprised when I saw this ingredient on the list. The cognac has been used very subtle in this perfume. As base notes we can smell patchoulli, vetiver, vanilla, tonka bean and musk. These ingredients add a 'warm' touch to the perfume. As you can see the packaging is very luxurious with the leather that is used on the bottle. Intimacy Sheer is an eau de parfum that will last the entire day on your skin. I wore this perfume to work and when I came home, my mother still smelled it on me. Intimacy sheer is exclusively available at Ici Paris XL (BeNeLux and Germany). Oh zo'n mooi flesje! Heel speciaal!